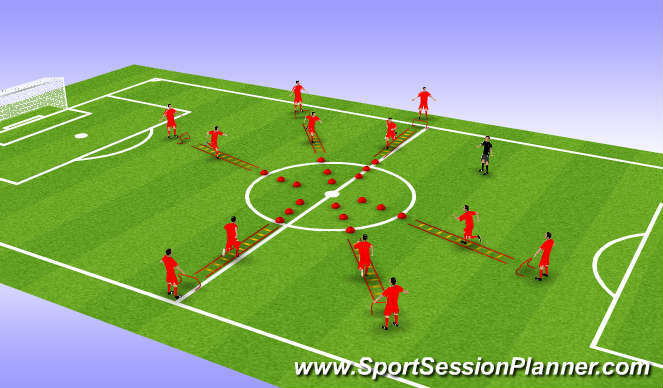 Grid variations can be used to challenged and stimulate the players with a variety of movement. this help to prevent player from becoming over familiar with drills which often leads to complacency. the following frid variations are examples. feel free to use your imaginatio and design your own. keep the head and eyes up and be aware of other players.particularly around the centre area. 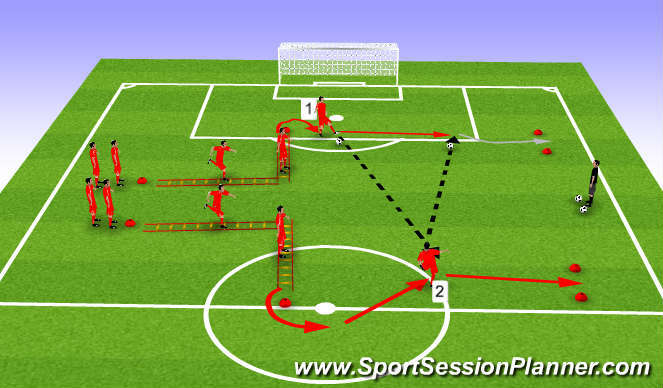 tow playerstart with linear fast foot drills, then transfer to lateral drills as the ladders dictate, player 1 accelerates on to the balland dribbles for 2 yeards before passing the ball on for player 2, player 2 pass the ball back. player accelerates down the ladder using single stps. on reaching the ladder and crossing the end. 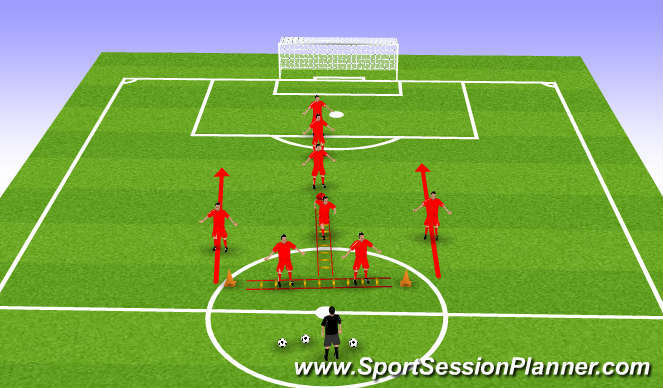 the player moves laterally either lft or right using short lateral steps. on coming out of the laddr the player then jockeys backward toward the start.